Cold season is in full swing here in the United States, so I wanted to discuss what we can do to prevent and treat this annoying and sometimes dangerous illness. 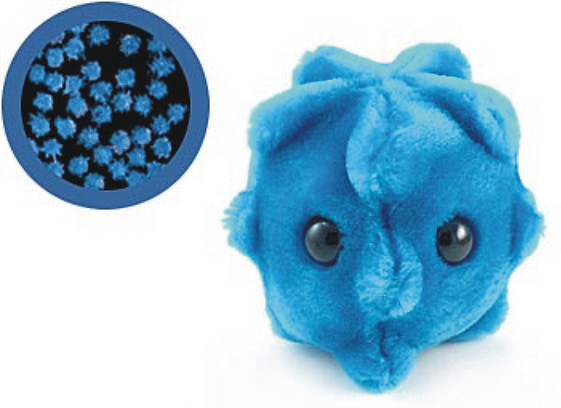 Since the common cold (the rhinovirus), is the single most infectious disease on the planet, it is not easy to avoid. The reason this particular virus is so infectious is because it can mutate quickly, often allowing dozens of variants to develop and co-exist at the same time. The influenza virus (the flu) also mutates and this is the reason that there is a different flu vaccine every year. Vaccine manufacturers are basically trying to guess which influenza variants are most likely to strike this year. Unfortunately, the common cold mutates so often and there are so many different strains that vaccinating against a cold is essentially useless. So what else can you do to fight off a cold or the flu? 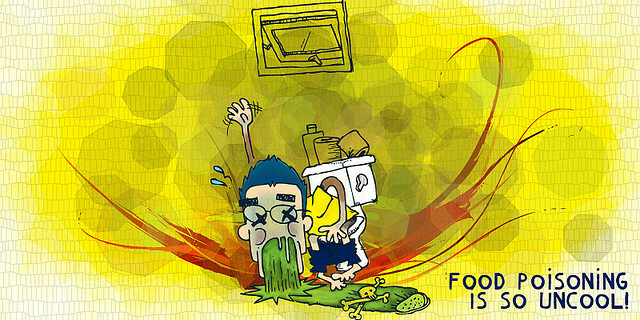 Food poisoning is an illness you can’t predict or really prepare for. You just have to eat something that was somewhere it shouldn’t be for as little as a few seconds in order to get ill. Before you even really know what is happening, you feel sick (nauseated, dizzy, vomiting, abdominal cramping, and diarrhea) and may not know what is happening or what to do next. The nausea and vomiting you may experience is your body recognizing that there is a problem and trying to find a solution (in other words finding a way to get the “bad stuff” out). For some kinds of food poisoning, you may experience diarrhea as the primary symptom and/or in addition to nausea and vomiting. Both symptoms are simply a means to an end, so to speak; that is, getting the offending piece of food (and accompanying poison) out of your body, usually as quickly as possible and by the nearest exit. Obviously, our first instincts are to stop our unpleasant symptoms as quickly as possible, but this is usually not be best idea in the long run; usually, the best way for your body to rid itself of the problem is to let nature take its course. The real risks of food poisoning are not that you feel awful or that you spend a lot of time in the bathroom, the problem is the secondary complications. Some complications are obvious - you can get dehydrated from too much vomiting or diarrhea. Hence the deadly nature of cholera which causes diarrhea that is so severe that the accompanying dehydration is often fatal, especially in younger children. Other complications that are serious and potentially life threatening have to do with the type of microbe or poison that caused the food poisoning in the first place. 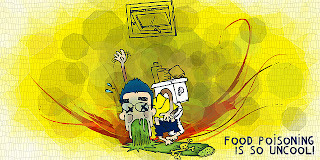 So what to do to protect yourself if you are unfortunate enough to suffer food poisoning? The Rodale Institute released a remarkable long term study comparing conventional farming practices to organic. As you probably know, this is a very controversial topic with much hype and confusion from both sides of the argument. Until now, there has not been any credible experiments or studies to really answer this question in its entirety. 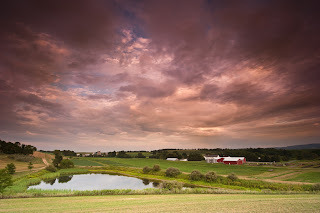 The Rodale Institute farm in Pennsylvania hosted the study. 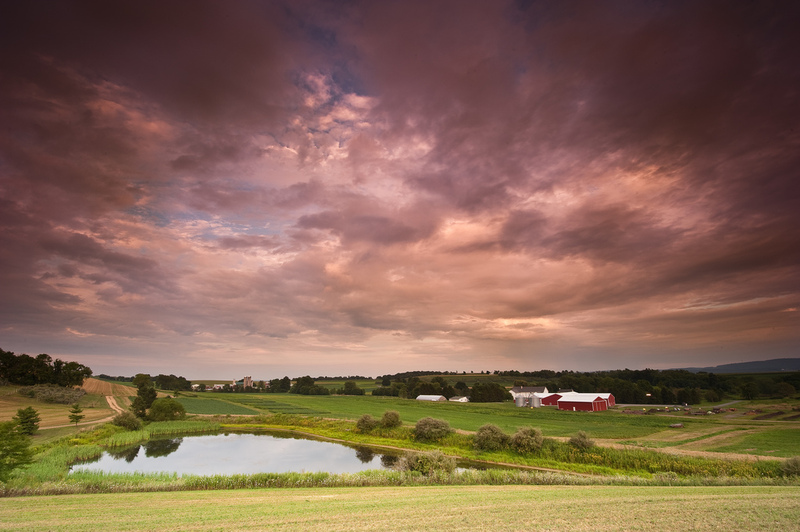 In most cases, this controversy pits large agribusiness corporations against organic farmers. Agribusiness argues that the products they sell (pesticides, herbicides, synthetic fertilizer, genetically modified seeds) are essential for farmers and are necessary to increase a farmers “yield per acre” (that is they grow more food on a given area of land). On the other hand, organic farmers argue that these claims are not true and that they can actually produce more food per acre, healthier food, and protect our environment, all at the same time. Previous studies, from both sides of the issue, presented only small parts of the big picture. In this long term experiment (30 years long) the Rodale Institute measured almost every conceivable factor, including pesticide use and cost, transportation costs, fertilizer use and cost, yield per acre, as well as so many other variables that are too long to list here. So what exactly did the Rodale Institute find? As you may have realized from my last post, I try to avoid eating Genetically Modified Organisms (GMOs) because, among other things, they scare me. We are altering our food without adequate or rigorous testing. The companies that develop, patent, and sell GMO seeds have assured the public (and the FDA) over and over that these foods are safe. Unfortunately, this may not be the case. Once you realize the paucity of decent research done to establish their safety, you might just be afraid to eat them too. 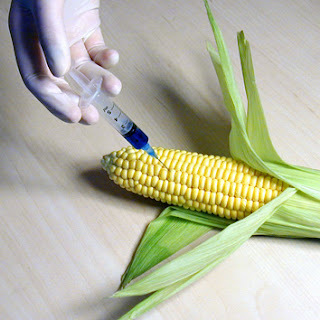 New research out of University College in Cork, Ireland reexamines the original Monsanto studies that “demonstrated” that these 3 varieties of GM corn are “safe”. Unfortunately, there are a number of serious problems with Monsanto’s studies and conclusions. The first and most obvious problem is that Monsanto’s original research was conducted only on rats and only over the course of 90 days. Shockingly this is the longest single study of its kind to establish the safety of GMOs on animals (that includes humans). 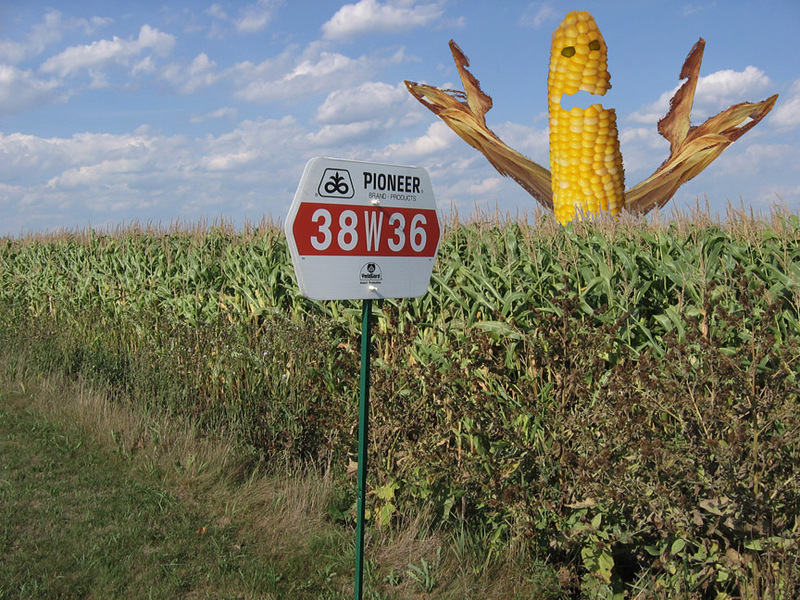 Genetically Modified Organisms - What's For Dinner? In my next two posts, I want to discuss an issue that has confused and concerned me for some time. You may not be aware, but Genetically Modified Organisms (GMOs) are now a huge part of our food supply. If you live in the United States and/or eat any kind of packaged or processed foods, then even if you try to avoid GMOs, you may find it practically impossible. GMOs have infiltrated our food supply in surprising and insidious ways and, shockingly, in the United States there is absolutely no requirement that foods containing GMO’s be labeleled in any way. The big question is whether or not GMOs are even safe for us to eat. Furthermore, are they safe to feed the animals we later consume for food? Do they live up to the claims made by their Agri-business creators, as somehow posing an advantage to the farmers growing our food? In other words, are GMO’s safe for your health and our planet’s health? You may not be aware of the raging worldwide controversy concerning GMOs, but many countries including some in the European Union are so concerned about their safety that they have completely banned the growing or importation of GMOs. These countries have chosen to abide by the “precautionary principle” in science; until there is sufficient evidence to establish the long term safety of GMOs, they simply will not allow them to be grown and/or sold. Recently, peasant groups in Haiti are finding themselves in the news because they are burning any seeds they suspect are GMOs. These peasants want to eliminate and avoid GMOs so much that they have announced that they will continue to burn any seeds that they believe “may possibly be GM”. This is happening even despite people starving in Haiti in the aftermath of the catastrophic earthquake in 2010. So the real question is whether these types of concerns are justified or are whether these worries are overblown. The huge Agri-business companies who create and sell GMOs would have us believe that concerns about any GMOs are simply the “unscientific anxieties of the uneducated”. This has been a complicated and confusing problem to decipher and I have spent years being totally confused myself. I hope these posts will give you the facts and information you need in order to decide for yourself.